I'm late to the party on this one, but I finally picked up Essie's For The Twill of It and it's love. 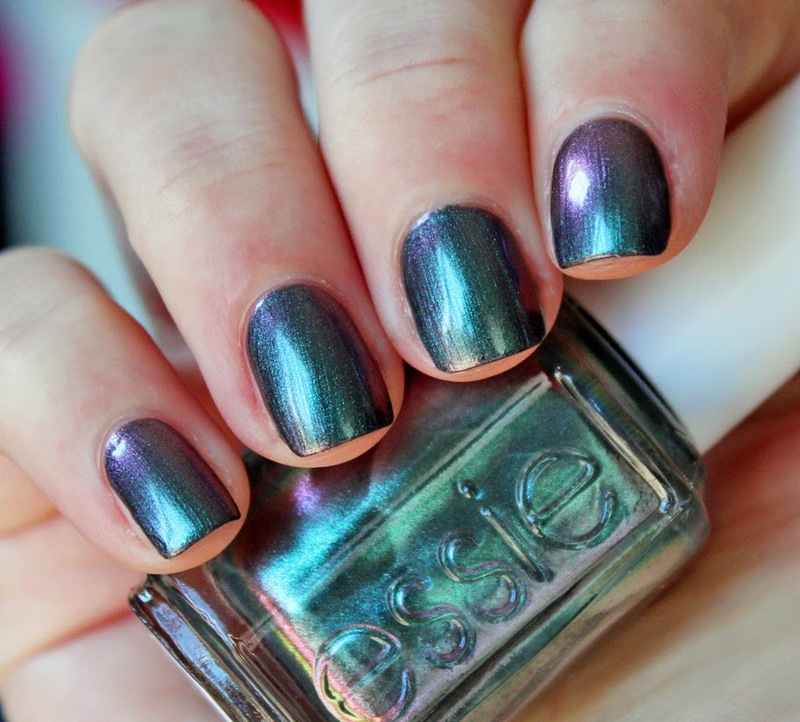 Essie doesn't do a whole lot of duochromes, so this is a pretty special color. It has a purple-grey base and shifts to purple, teal, and green with the lighting. The finish is a little frosty for my tastes, but it's not too bad. My only complaint is that I needed at least three coats (wearing three coats here) for evenness and opacity. 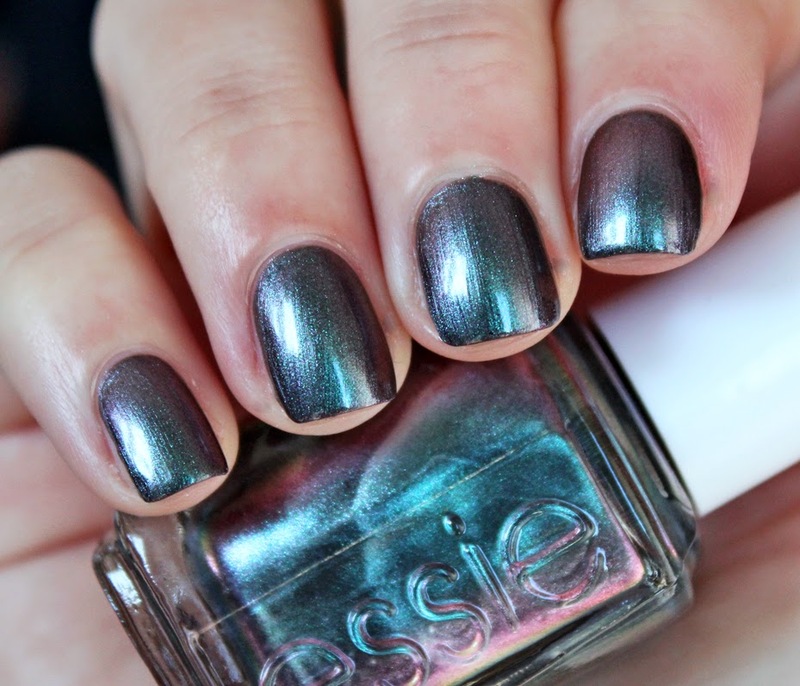 Essie, do more duochromes! I need more duochromes and I love your brush! Oh, which brush does yours have? is it the wide or the teenytiny one? The teenytiny one! It's so nice and precise! what a cool, yet elegant color! A must have! I think I have this - no idea why I haven't used it yet?! Agreed, I love their little brush! I didn't think I wanted this, but now that I've seen your swatch I think I do. It's way prettier than I thought! I forgot how pretty this color is! Gorgeous! Your nails are my favorite: perfect shape and length. This is one of my all-time faves. I wear it a LOT and I can't get enough! I have too many Essie polishes lol I can't even count. Do you have a review of Vain Pursuits? I'd love to read what you have to say... my girlfriends are all talking about it.